To add on to that I decided to do squats every single day for Lent. So my legs are getting hit the hardest for sure. The past couple weeks I have really started to see/feel a change in my body. I feel stronger and everything just looks tighter. Today I did a plank for the first time in a long time and it was no problem for me! I used to seriously struggle to even do a 10 second plank and today I did 30 seconds without shaking or huffing and puffing! Update! Wednesdays are now cardio + abs for me. I decided to add in cardio because I think that helps shed the fat from around the muscle that I'm building from the other workouts. 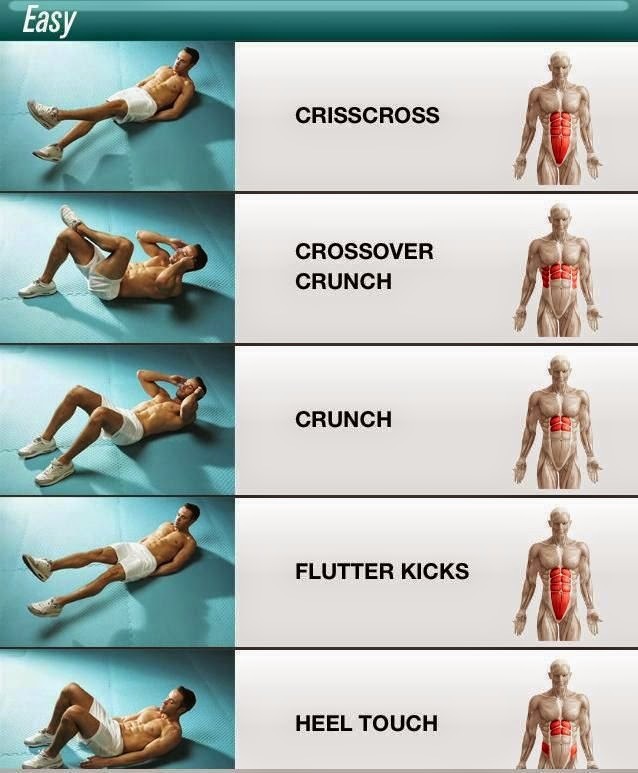 Leg day + abs consists of the leg machines at our gym, squats and lunges, and three sets of the ab routine below. I want to change it up with the abs though because I am getting tired of this one although I do like it, just getting bored. Upper body days are mostly machines for back, chest, and triceps. Then free weights for shoulders and biceps. We also do dips - luckily there is this cool machine that gives a weight assist so I can actually do the dips! Maybe someday I'll get up to doing them on my own. Maybe. For cardio I just do the elliptical (or treadmill if I have to). I like to do a pretty steep incline and medium resistance. Today I did 2.5 miles in half an hour, the last half mile was a cool down so that's why it took so long! During cool down I lower the incline and resistance. Now for the fun part of working out! My gym essentials include mainly cute outfits. The better you look the better you feel and being able to put on a cute outfit is great motivation to get to the gym! I also bring along my monogrammed water bottle - gotta stay hydrated! When I do cardio I must have headphones so I can listen to music or watch TV to pass the time. It helps me keep going way longer than if I was just staring into space with no sound. I also like to bring a little towel with me so I can wipe the sweat away - there is nothing worse to me than sweat dripping down your forehead - yuck! Follow my exercise board on Pinterest for easy routines to try! Follow Sugar Spice and Sparkle's board Exercise on Pinterest. I love the squat challenge! I did that a couple months ago and it definitely helped me tone up. Love this new kind of post! I love going to the gym! Thanks for sharing your routine and some exercises! So fun! Fun workout clothes are the best motivation for getting to the gym for me haha. I love yours! Workout clothes always make the gym and working out in general that much more enjoyable!